This post began last Tuesday morning in the Mysore room, when I fell out of headstand. Hard. My inner Dorothy Parker would like you to know it was an embarrassingly loud cymbal-like crash that everyone in the room heard and saw. Talk about Eight Limbs. There was a looooonnng moment, seemingly in some twilight-ish space time continuum, where I could still feel both elbows on the ground, saw my hands come apart, and my legs scissor swing towards the wall. Miraculously, my neck was not broken. I was not concussed. My knee hit the wall, resulting in what is now a fashionable purple bruise. Not going to lie. I did not breathe, meditate, or observe any of the yamas or niyamas. I went into child’s pose and began to weep. Quietly. My teacher immediately came to check that I was ok. When I assured her I was, she gently coaxed me back into headstand, standing there to be my wall. I held it for 12 breaths as she whispered: “You got this” over and over. But as I walked home, I felt a curious mixture of adrenaline-fuelled fear and shame. Had I wanted that pose too much? Failed to practice aparigraha? Or worse, been guilty of a sort of tapas-fuelled hubris? A kind of—hey look how much progress I’m making, I can do headstand! But then I realized something: that fall was a blessing. It showed me a lot of the Eight Limbs at work all around me. My teacher showing huge compassion (ahimsa) for my sore body and my bruised and fearful ego. The concentration (dharana) it took to get up there again immediately after falling. All the breathing I did as I walked home (pranayama). Every time I have fallen in my life and my practice, it’s made me understand my students better. Not being able to hold a pose you’ve done hundreds of times is just as frustrating as not getting long division, or being talked about even though you’ve dispelled the rumour. Having your heart broken allows you to understand the eleven-year-old sobbing in front of you who didn’t get the role they wanted in the play. I always tell my grade 6 students that “everything is figureout-able”. The truth is, everything is figurout-able, if you keep practicing. If you keep growing. If you allow your practice, and your spectacular falls to change you. 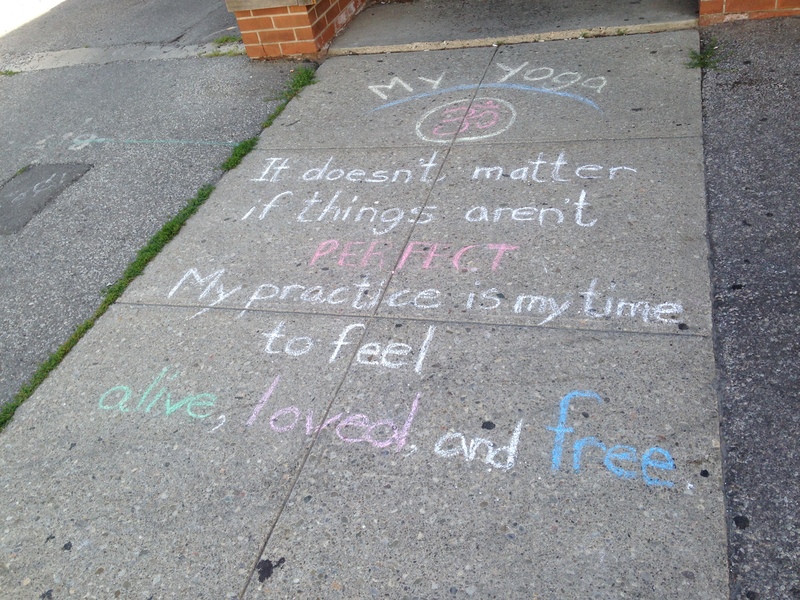 My practice is my time to feel alive, loved and free. And over time, I think (I hope) it helps me make others feel that way too.